Super fast mobile broadband may be incoming but Sky doesn't reckon it will mean the end of Wi-Fi. According to Mike Darcey, Chief Operating Officer, BSkyB, even when 4G lands in the UK - which is set for 2013/14 - the speedy mobile service will soon get clogged up with users and Wi-Fi will still be the key to offering decent web coverage on the go. "We are trying to give our broadband customers free Wi-Fi across the country's hotspots and we are convinced that wireless technology is key going forward," explained Darcey. "4G will be great but there will be an M25 effect. The traffic will build pretty quickly and Wi-Fi will still be needed and used by the public." 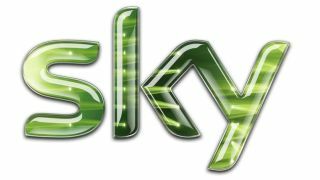 Since Sky took over ownership of The Cloud it has been focusing more and more on offering its content over IPTV. According to Darcey, this isn't a sign of massive changes for the company, though, as he believes it is the content that is key and not how you deliver it. "We are labelled as a satellite broadcaster, but we are a bit more than that now. A few years ago you would have found Sky channels on a Sky and cable box but now they are on PCs, Xbox, iOS devices and mobile phones. Sky is seen by 32 million people each week and without the compelling programmes, you will struggle to sell the platforms and services. "For all the technology we have done, it is really all about the twist and turns of the last game of the Premier League and the drama of Game Of Thrones. "It is the power of content that makes the differences; the delivery is really just a means to the end."